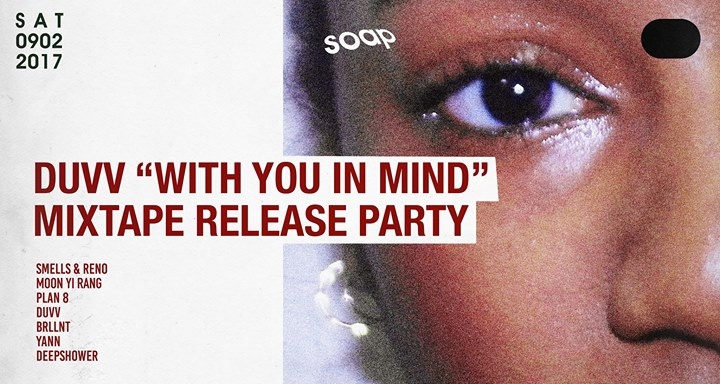 DUVV originally from New York but recently based in Seoul, just released her mixtape [With You In Mind]. Soap is hosting her release party this Saturday 2nd September. Check out her amazing tracks beforehand and come see her perform live alongside all the collaborators from the album.